The next generation of Apple MacBook Pro products are rumored to feature an AMD chip inside them. Bits and Chips reports that due to tech stagnation in regards to Intel’s mobility processors, Apple might jump ship over to camp AMD and use their latest Zen based processors to power off the MacBook Pro lineup. For a long time, Apple MacBook Pro series has been featuring a mix of U and H series processors. Usually, both tiers get their graphics updated with performance enhancements around the same time but with Kaby Lake, the high-performance models might be looking elsewhere for that extra horsepower. 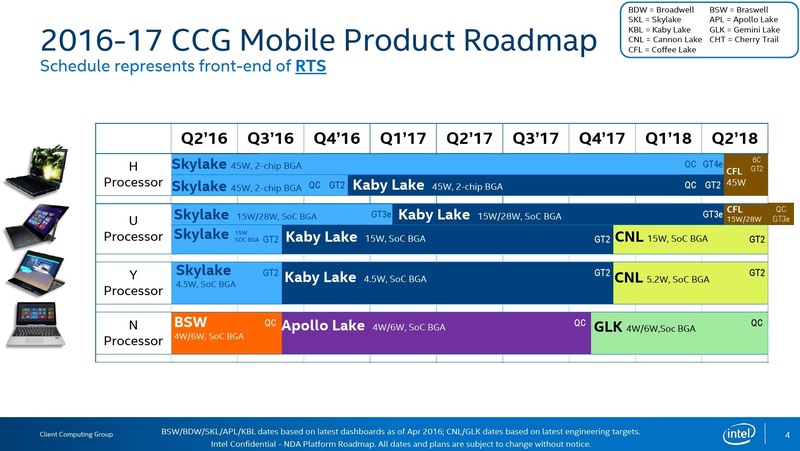 The latest Intel mobility processor roadmap shows that after Skylake, Intel would be shifting to a new CPU family known as Kaby Lake. This family will be available in several variants. However, MacBook Pro’s have relied on faster graphics performance and that doesn’t seem to be the case in the upcoming generation of Intel processors. The U-series models in this family are going to be available in Q1 2017 with GT3e graphics. The faster H-series processors will rely on a slower GT2 graphics chip. This problem is with GT2 parts as Apple has a major focus on graphics performance from Integrated GPUs. While 13″ models of the MacBook Pro can utilize the U-series chips, the high-performance aimed, 15″ models will not be a major graphics update if Apple decides to go with new Kaby Lake or even the Coffee Lake parts available in mid 2018. The only high-performance variant that Intel has in their H-series line is based on Skylake and has GT4e graphics. This model is fast but comes at a high cost. The GT3e graphics chips are only offered in sub-45W variants with either Kaby Lake or Coffee Lake chips. It’s possible that Intel could offer enough GPU updates with Kaby Lake that it somewhat matches the GT3e tier level performance but there’s another solution. 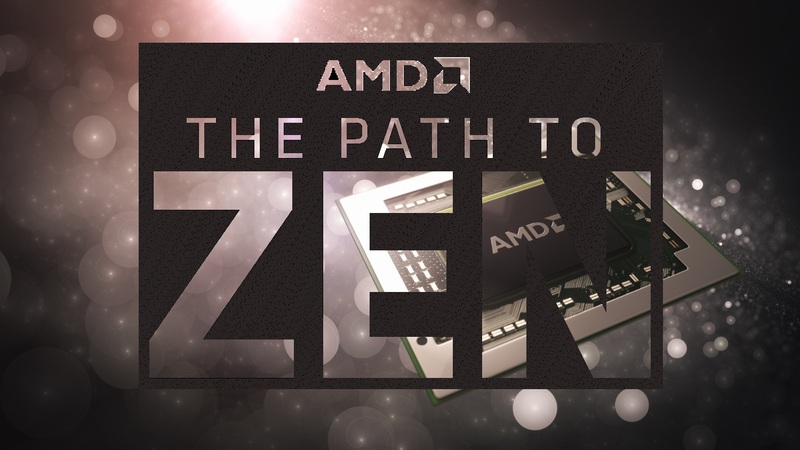 AMD is known to offer custom chips based on their latest Zen architecture in 2018. Apple could go that route if Intel is unable to meet their requirements in the graphics department. AMD can exploit this situation and round up a custom Zen based SOC featuring their latest GCN cores and a couple of HBM (cache/system subsystem) for Apple. Recently leaked details show AMD’s next generation APU solutions with power as low as 10W and base models with 35-45W TDP. That matches Intel’s H-series processors in terms of power consumption and added graphics performance from the GCN cores sounds like a potential candidate for the latest MacBook Pro models. Such a custom chip could be a big win for AMD’s custom-SOC division. By 2018, such a chip would be very feasible to produce in terms of cost and volume as FinFET process would have matured enough and HBM2 yields would be ideal to supply to mass market. Of course, we aren’t setting this in stone as if Apple is indeed going to feature a AMD chip inside their next gen laptop solution. But the possibility of it happening is high given the latest Intel roadmap leak. Intel is known for changing roadmaps from time to time so we might just see them slipping in a GT3 graphics chip under the H-series lineup. For more on Zen architecture, you can read an in-depth technical analysis over here.